I'm always fascinated by the history of bubbles and mania. They're hard to predict, but often easy to spot in real time. Which brings us to bitcoin and the cryptocurrency craze. If there's a bubble in progress, which I think is highly likely, a few things will play out. John Waggoner, a columnist with Investment News, recently penned an insightful piece on the general history of manias and how it could relate to bitcoin. - The degree and velocity of the price increase. "Bitcoin hit $11,343 last week, according to coindesk.com, blowing through the $10,000 level early in the morning before falling through the day and hitting $9,926 as of the publication of this column. The cryptocurrency began the year at $968. In contrast, "during the 1980 gold bubble, the price of the yellow metal soared from $559.50 on January 2, 1980, to $850 an ounce on January 21. In comparison with bitcoin, the gold mania was a piker." Note: Since Waggoner wrote this, Bitcoin has moved above $18,000. - Derivatives Markets Are Getting into Bitcoin. "During the tulip mania, traders developed primitive forward options trading, so they could trade bulbs outside the planting season. LedgerX, an institutional trading platform, began trading bitcoin options last month, and the CBOE and the Chicago Mercantile Exchange are planning bitcoin options." Remember what Warren Buffett said about derivatives? They were "financial weapons of mass destruction." Although you can use deriviatives to hedge the downside of a security, they can easily be used to pump up a market through over-speculation. And trades can go both ways. - More investor funds are coming. Wall Street just loves new products they can sell to generate more fees and commissions. In an era in which fund fees have dropped to the basement, they stand to make billions from new vehicles. That's not always a good thing, meaning millions of investors will flock to them and ignore their inherent risks. Just look at tech stocks and funds in the late 1990s. Most people got in at the peak of the bubble and got creamed. 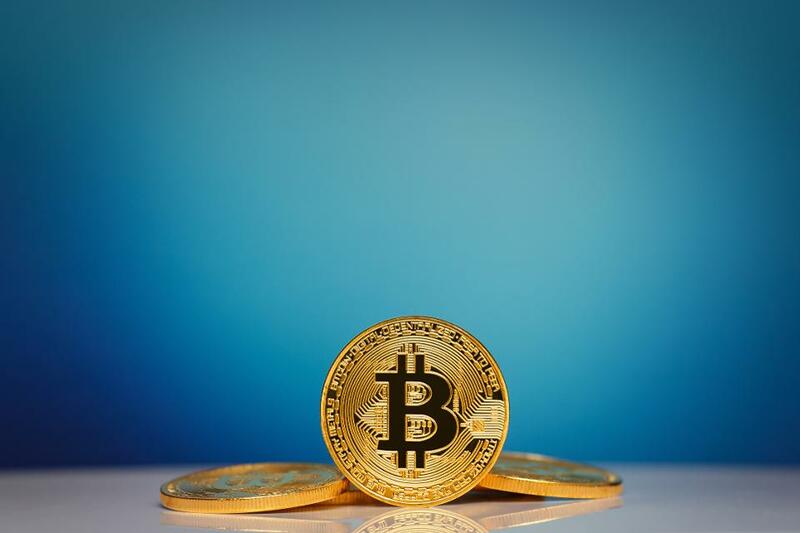 "The success of Bitcoin Investment Trust (GBTC), which often sells for a premium of 40% or more above the value of its bitcoin holdings, has spurred filings for several other applications with the SEC to sell bitcoin ETFs to the public. ProShares filed for two funds — one bull and one bear — in September. VanEck and the Winklevoss twins have filed for bitcoin ETFs, but were rebuffed by the SEC. The creation of bitcoin futures, however, could clear the way for future bitcoin ETFs." - Scarcity is Strong Selling Point. I don't know what it is, but whenever the phrase "limited quantities" is uttered, people go crazy. It doesn't matter if it's beanie babies or a Leonardo painting. We think rare things should carry the highest price tags. "One thing that drives prices up is rarity. Bitcoins are limited to a total issuance of about 21 million coins. But there are some 100 other cryptocurrencies available. Some of them, like Centra Token, have garnered endorsements from celebrities such as boxer Floyd Mayweather and rapper DJ Kahled. Centra's initial coin offering raised $30 million." What about the other drivers of a bubble and the fact that demand can be irrational? Fundamental measurements of anything are then routinely ignored. "Loosely defined, a bubble is a rapid increase in an asset price that's not substantiated by its fundamentals," writes Waggoner. "The unfortunate part of this definition is that this is best seen in hindsight." Yet what are the "fundamentals" of cryptocurrencies? Since there are no book, price/earnings, dividends or price/sales ratios, I'm not sure what metrics you would use. A virtual currency is produced by computers. There are no earnings or sales to back up its value. Instead of focusing on absolute price, what makes a bubble frothy is the direction and volatility. Bitcoin has dropped as much as 80% in value over its short history, so you can't ignore its downside. It will also be traded through options and futures contracts, which may or may not make it more volatile. It's too soon to say. No matter what you think is happening with cryptocurrencies, never believe that enticing phrase "this time is different." It's not, but believing that bunk is the ultimate sucker punch to investors who don't know when to pull out, which is most of us.